Whilst away, I finally got round to reading Dr Douglas Graham’s The ‘80/10/10 Diet’ which had been sitting on my bookshelf for ages! I know that although this book is popular, it may not appeal to everyone as it advocates quite a strict way of eating. The basic principle is that your entire nutrition is based on raw food with 80% of your calorie intake coming from carbohydrates (mainly fresh fruit), 10% from protein and 10% from fat. As most of your calorie intake comes from fruit you need to eat large quantities of it, many of the meals being monomeals in which only one type of fruit is eaten, and therefore being easier to digest. In addition you are required to eat a lot of green leafy vegetables. 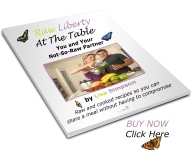 This is quite a unique plan and may require a lot of adjusting to especially if you are new to raw foods. In his book, Dr Graham discusses why he believes this to be the best way of eating, and backs up his theories with scientific evidence, which provides a wealth of interesting information for anyone who is health conscious, whether looking to follow this plan or not. Dr Graham also stresses the importance of regular exercise and lifestyle issues such as sleep, stress and emotional well being etc. It occurred to me that inadvertantly I had been largely following the principles of this way of eating for two weeks and I really did feel and looked fabulous! I wondered if it was just the effect of the climate and the abundance of delicious fresh local produce or whether this way of eating did really work for me. I have decided to follow the summer menu plan from the book for a week to see if this is the way forward. I’m fast being famed for my love of green smoothies, and hardly a day passes without me savouring one of these fabulous delights! Green smoothies are simply fruit based smoothies which have fresh green leaves blended into them to give you an incredibly quick, easy and highly nutritional meal! Greens are one of the most nutritious whole foods we can eat. They are packed with vitamins, minerals, anti-oxidants and amino acids (i.e. protein!) The trouble is that prople rarely eat enough of them…In fact you can gain more nutrients from a green smoothie than you can from a day’s ‘normal’ eating! As fantastic as greens are on their own, we would have to chew them for ages in order to break them down into a form from which we are able to gain their full nutritional value. That’s where smoothies come in! By blending your fruits, greens and vegetables, they become far easier to digest. As the blender blades break down the cellular structure of your produce, the nutrients are released from the fibre and become more readily available, so that you are able to gain maximum nutrition from them. So why do I drink green smoothies? Oh, and did I say, they taste delicious!!! In preparing green smoothies from fresh produce, we can guarantee that they are not heat treated or pasteurised, which would of course significantly compromise their nutritional value. * and in fact drinking green smoothies can help the body prevent and heal disease! In adding green smoothie to your diet, you will experience a positive change to your body and mind. water to desired consistancy – I like to make my smoothies thick enough to eat with a spoon. Simply blend ’til smooth. Enjoy! for more information on the power of the green smoothie I recommend Victoria Boutenko’s book ‘Green for Life’ in which Victoria details her extensive research.